Plastic laminated mahogany. Other version use bamboo, which did not warp over time, like this specimen. Gift Of Robert N. Curry Collection. Original Owner: Franklin James Sullivan, (1914-1992) born in Wilmington, Delaware. Cost Analyst at Baldwin's outside of Philadelphia, PA (1940-1945), then at Atlas Powder Company (Du Pont)/ICI. Had 3 daughters, one provided this slide rule. 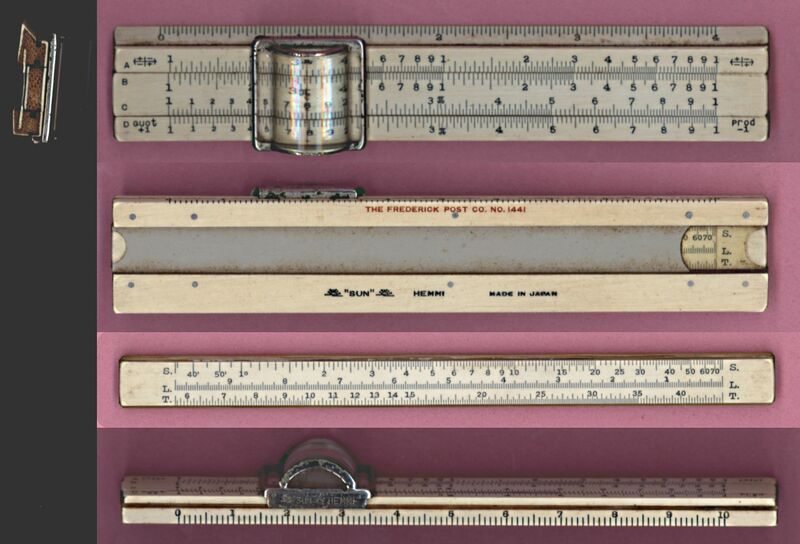 Has same resolution as a 10 inch scale. 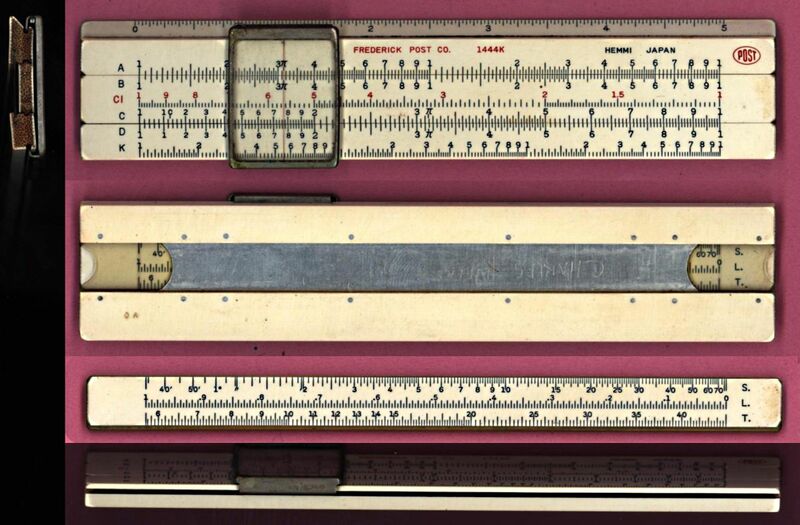 Note: Note 'K' scale and linear scales on edge. Previous models made by Hemmi did not have them. 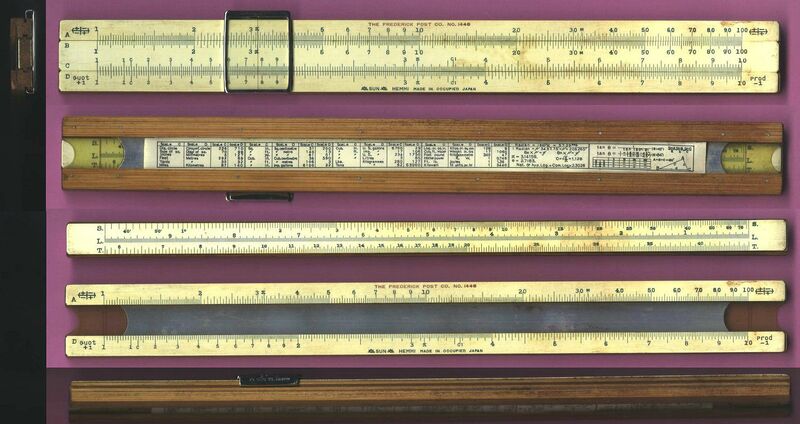 Because the transitional delivery of the 1446 during WWII from other	OEM's than Hemmi had the 'K' scale, once the war was over and shipping from Japan began again, the 'K' scale was added to the post-WWII Post 1446. Wallace E. Kane (2005). 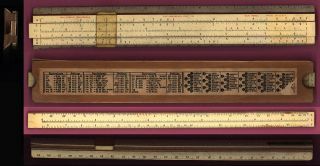 Wallace Kane, born in Wisconsin (1930), used this slide rule early in his education.He attended Lawrence College in Appelton, Wisconsin. and later he enlisted in the Air Force. He was given duties as a musician, stationed at Keflavik, Iceland. 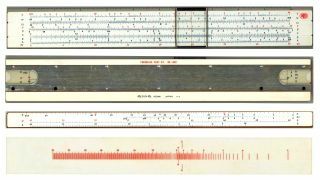 He again pulled out his slide rule to obtain his masters degree in physics from the University of Wisconsin in Madison, WI. 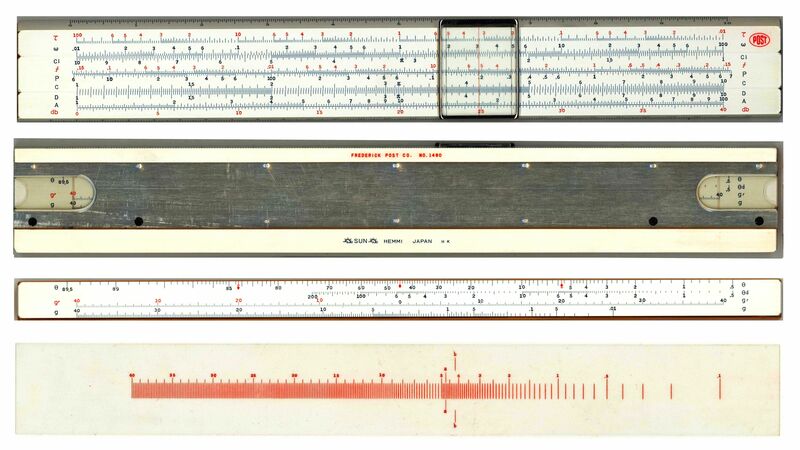 After graduation he worked at Lawrence Radiation Laboratory at Livermore (now LLNL) where he married fellow physicist Ruth Mary Farwell Kilby (later: Moira Kane) (1921-2007) (Ruth also has a slide rule on display at ISRM). The couple relocated to the Puget Sound area in 1973 to work as a physicist for the Navy at Keyport, Washington for the next 33 years where he retired at age 75. 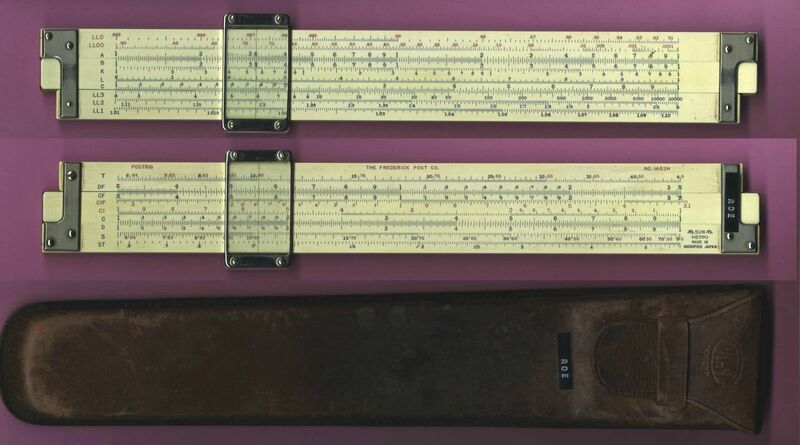 Stock and Cursor marked "Made in Occupied Japan"
Original Owner (written on case): Jim Huste, who contacted the ISRM when he saw his slide rule displayed at ISRM. Jim is the co-founder of TransLanTech Sound in New York City, NY. Jim's radio career includes over 12 years as a DJ, Music and Program Director. He has been Chief Engineer of nine radio stations including WOMC in Detroit, WYNY and WOR in New York and Pirate Radio, Los Angeles before forming TransLanTech. 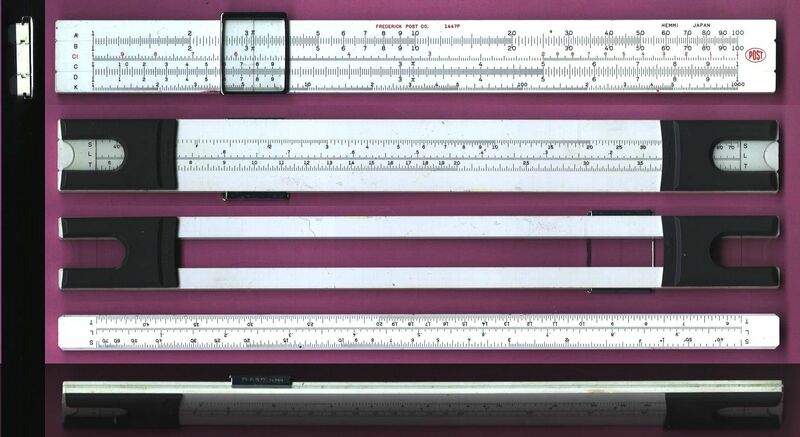 Made in the U.S.A - An all-plastic version of the very popular plastic-laminated bamboo model Post 1447 used by many students. Gift Of Bill Wehrend Collection, Palo Alto, California. 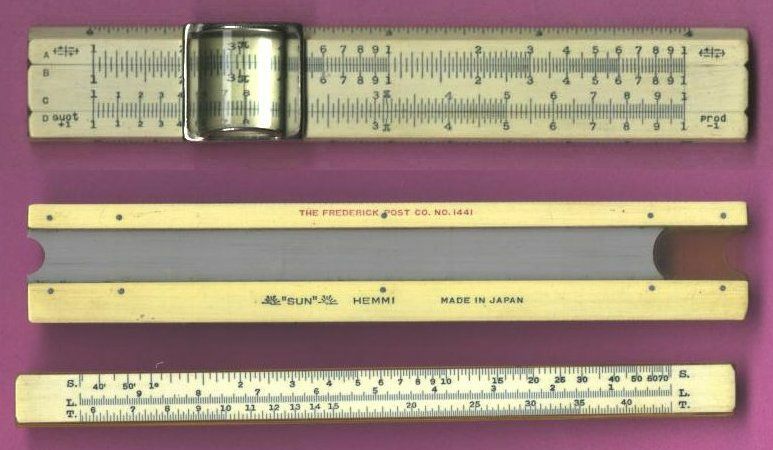 Made in Japan by Hemmi, rebranded for Frederick Post. Original Owner: Left in a house in Denver and was given to Kevin Owen by the new owner/neighbor when Kevin said he had a friend at ISRM. 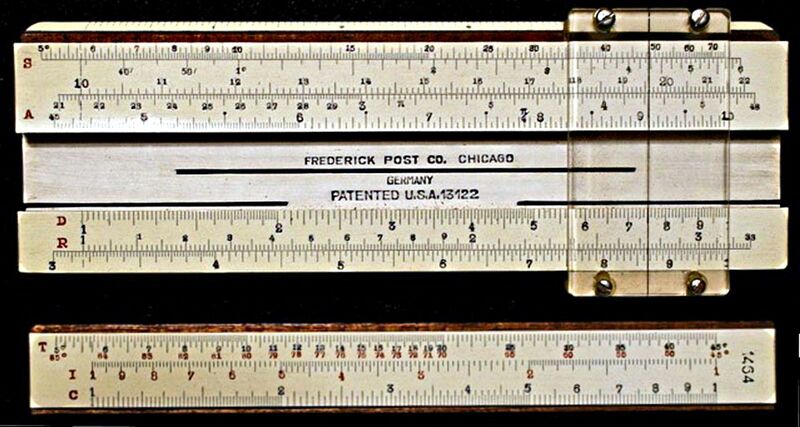 Note: Upper stock shows "Frederick Post". Company "CO." was dropped. Lower stock has Date Code. These are very subtle differences. 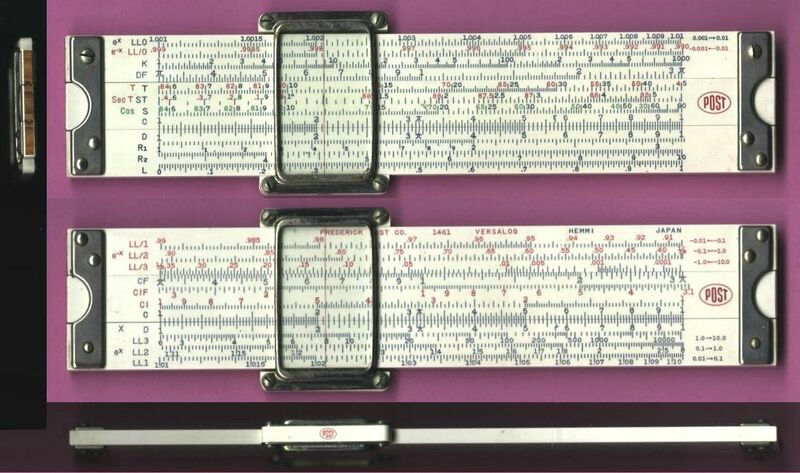 Note: the above leather sleeve has shrunk to the point that it is difficult to put the slide rule back in it. Note: Cos label printed in Black. 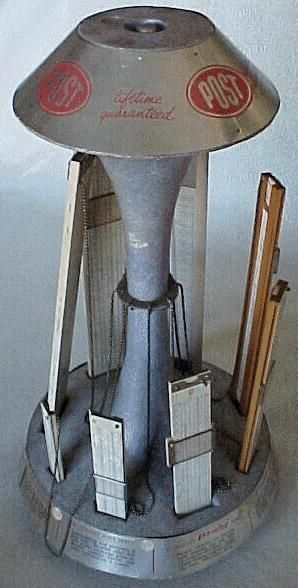 This is the first and only version where Hemmi 258 appears on a Post Versalog. The case only has Hemmi on it. Donated by Enn Veskimets, Lutherville, Maryland. 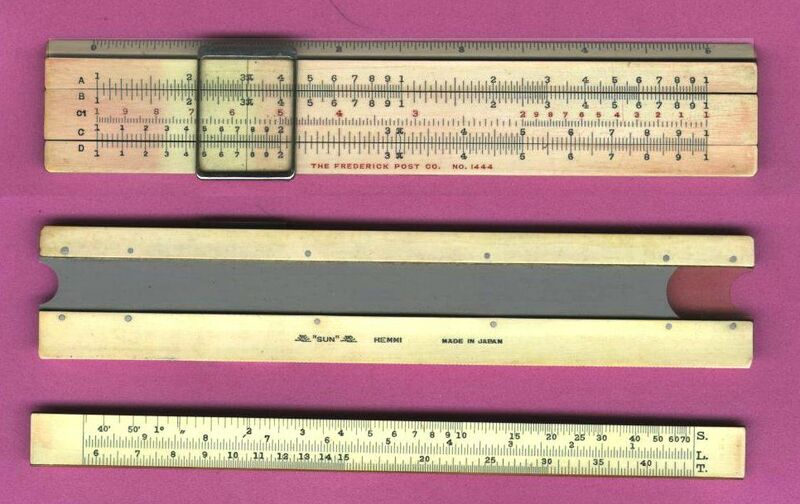 Enn Veskismets obtained this slide rule in 1952 while attending Ballard High School in Seattle, Washington. He attended the University of Washington in Seattleand graduated with a degree in Civil Engineering in 1959. He enlisted in the U.S. Army and worked at the Aberdeen Proving Grounds (1959-1962), and after an honorable disharge, continued to work with the Army Corps of Engineers in Baltimore, Maryland from 1962-1992. He retired as Chief Engineer (P.E), in the Design Branch. 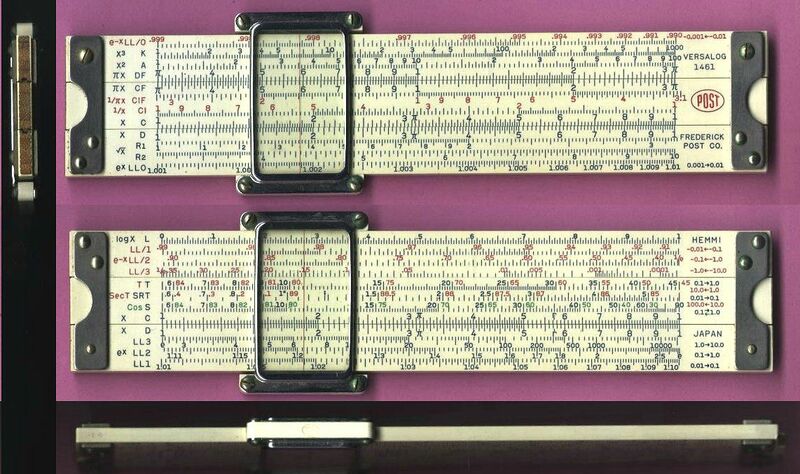 Enn said he would hide his slide rule in his father medical bag in high school as if you hung it on your belt, you would be called a geek. 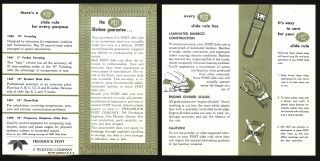 He later acquired a pocket version of the 1460, the Post 1461, in 1957, also shown in this gallery. Donated by Robert Edmonds of Broomfield, Colorado in memory of his father. Dean Keith Edmonds (1924-2011) was born in Loveland, Colorado. and raised in multiple communities around the state. Dean worked on the road crew for the National Park Service and for several years as an auto mechanic before putting himself through school by owning and operating his own sheet metal business. He earned his Bachelors (1960 Mechanical Engineering) and Masters (1966 Chemical Engineering) Degrees from the University of Colorado and became a Certified Professional Engineer. He worked as a Civil Engineer at the National Bureau of Standards in Boulder and later for the Department of Defense at Fort Carson in Colorado Springs, Wiesbaden Army Base (West Germany), Fort Dix (New Jersey) and Fort Belvoir (Virginia). 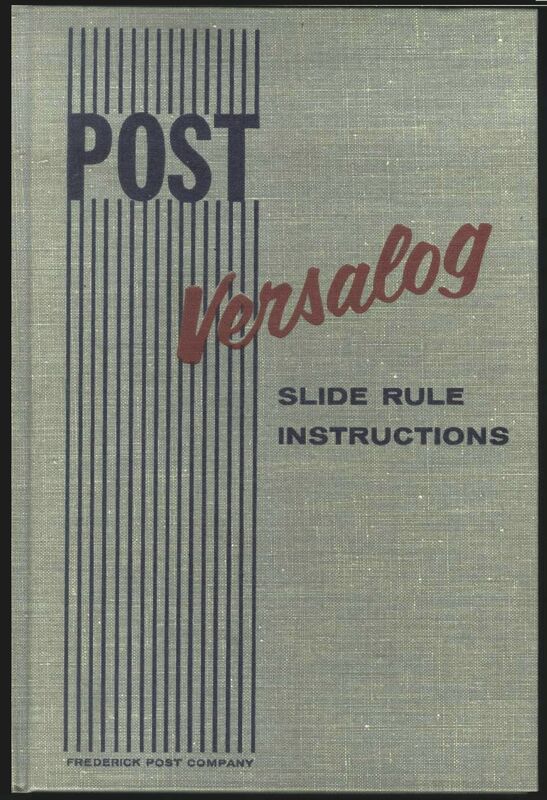 He used this slide rule and his Post Versalog in his career. He loved to tinker with his 1972 MGB and wrote a two volume book Adam's Holy Mountain and the Four Rivers of Eden 1998 by Dean K. Edmonds, available on Amazon. Original owner: James J. Pennell. Gifted by his daughter, Brenda Barnes, and son, Barry Pennell of Apex, North Carolina. Jim was born in Wilkes County North Carolina, on June 9, 1927. His parents were Charles and Maggie Ellis Pennell, and he was the youngest of three sons. He was drafted twice serving in the Navy for eleven months during WWII and in the Air Force during the Korean War. While in the Air Force he was stationed in Japan for two years and developed a deep appreciation of that country and its culture. After leaving the military he went to work for the Federal Aviation Administration as an electronics technician caring for the navigation aids at Raleigh-Durham Airport for 25 years. 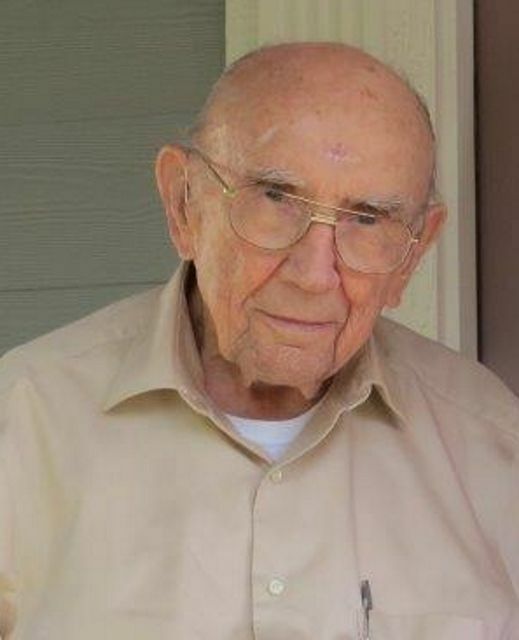 He was a long-time committed member of Greenwood Forest Baptist Church where he proudly served on the properties committee for many years. 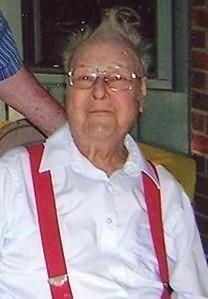 He was an avid bowler and enjoyed golf and working on the home in Cary he lived in for 55 years. Made in Japan by Hemmi - No Date. 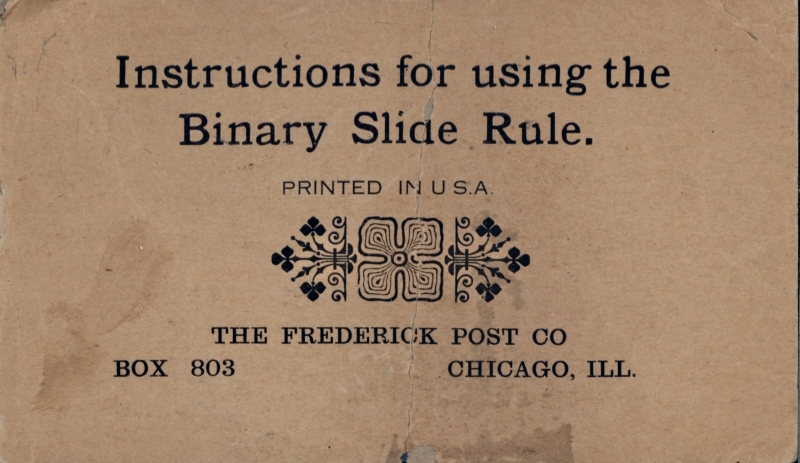 Purchased in 1969 for $18.30USD. Gifted by Bill Geren of Dallas, Texas..
Bill writes: "I bought it new in 1969 when I first started taking Engineering at the University of Texas at Arlington. It didn't get used much at all since I changed my major. 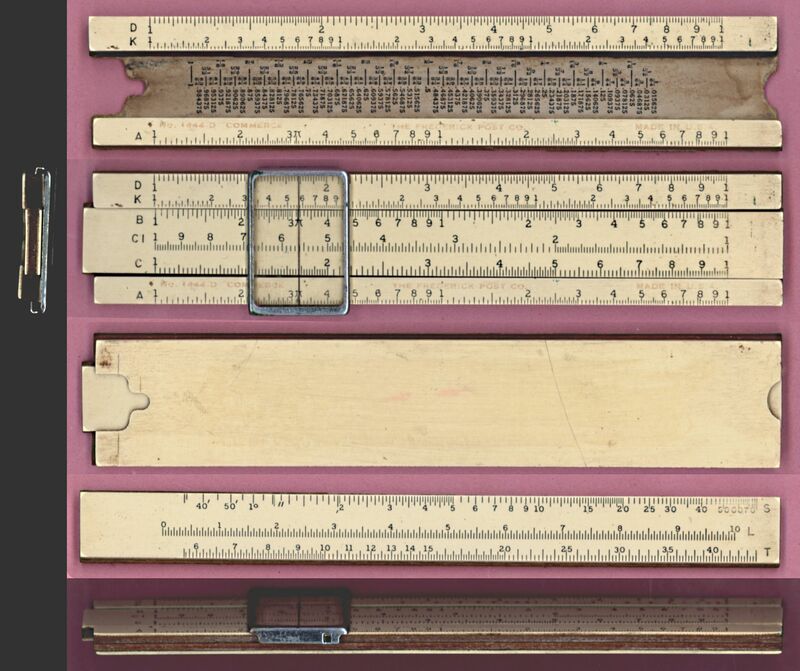 Shortly after that, as you know, electronic calculators were starting to become available so the slide rule took it's 40+ year home in the closet". 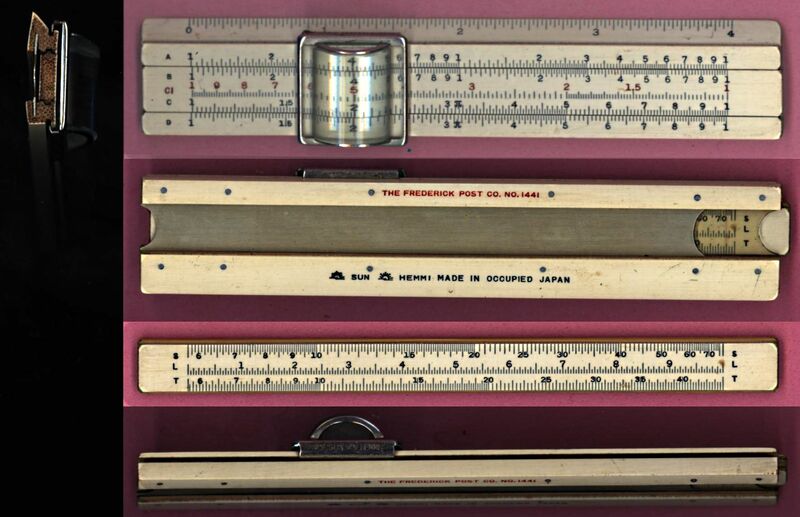 This pristine slide rule was kept in its original retail box. Donated by K.C. Schwarz, who used this at the U.S. Air Force Academy (CS-29) in Colorado Springs, CO. K.C. graduated in 1975 after commanding the Honor Squadron. He served as a C-9A medical evacuation pilot and aircraft reliability engineer during his years in the Air Force. Later, working for Northrop, he led the support simulation and modeling group on the B-2 (Stealth) Bomber program. In 1990 K.C. moved to Colorado and served at Ball Aerospace for several years. He later moved into investment banking and then began working with startup and early-stage companies. He has founded several high tech and aerospace companies in the systems integration and satellite surveillance markets. 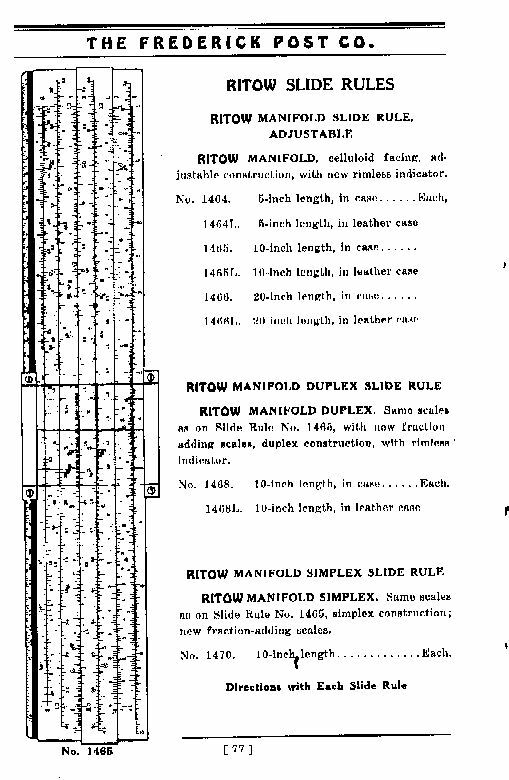 Note: Scale labels use Times Roman font. 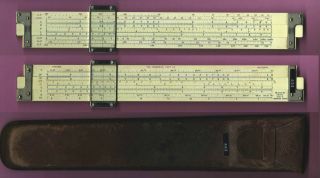 Note that this is a rare slide rule as this model number was later used to identify the pocket 1461 Versalog which became a companion to the 1460 Versalog. Note 1: Cos label printed in Green. No 'A' or 'B' scale. Note 2: 'Post' oval logo appears one both sides of the slide. "Sun" is dropped from the Hemmi mark. Note 1: This Versalog II has an 'A' scale but no 'B' scale. The original Versalogs 1460 and 1461 have neither. Note 2: 'Post' oval logo appears only on one sides of the slide. The extra space is used for formula labels. Owned by William S. Roe who help found the National Association of Rocketry in 1958. 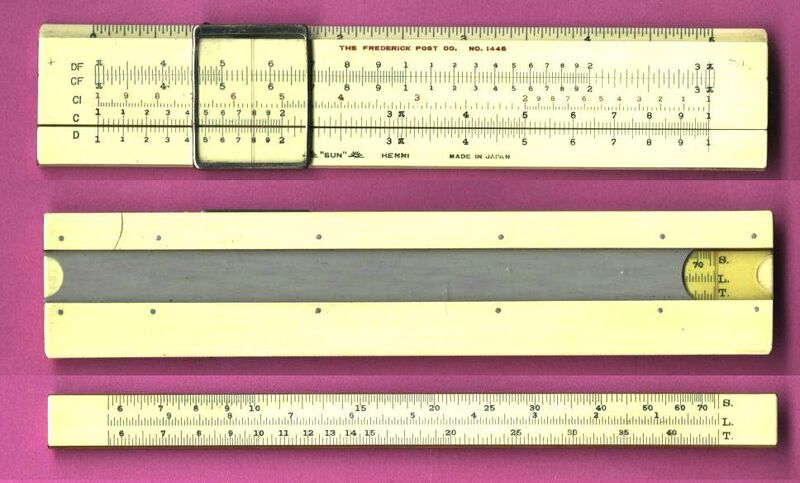 This slide rule can be seen doing Altitude Redustion in an eary NAR 16mm promotional movie. The hands in the picture belong to Bill's son, John Roe, who helped provide the scan. 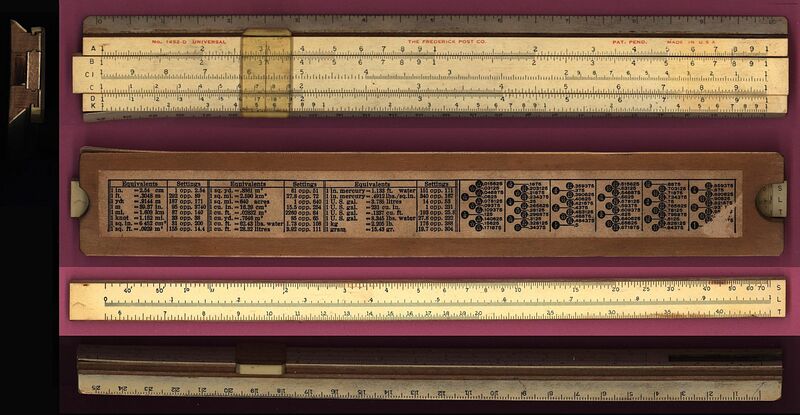 Bill used this slide rule in Japan when he was stationed there. 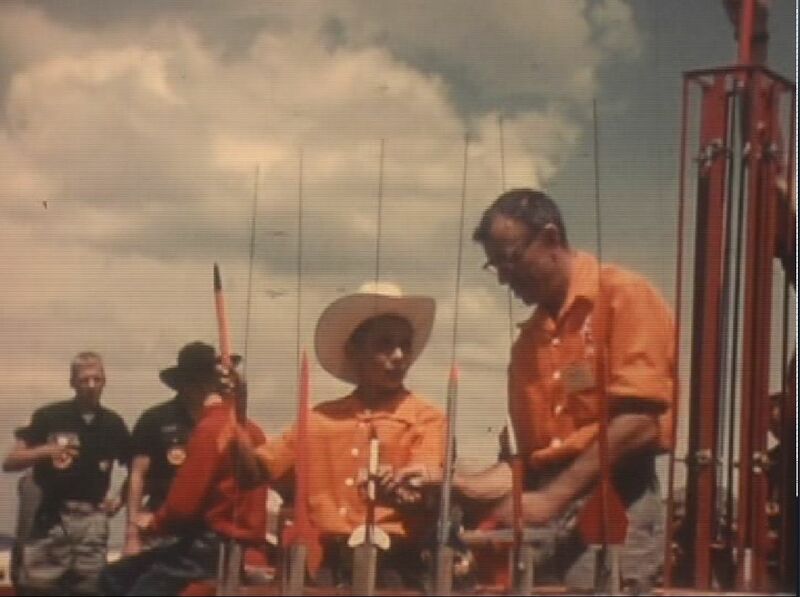 Bill was a great influence and father figure to many young rocketeers of that era including the curator of ISRM. 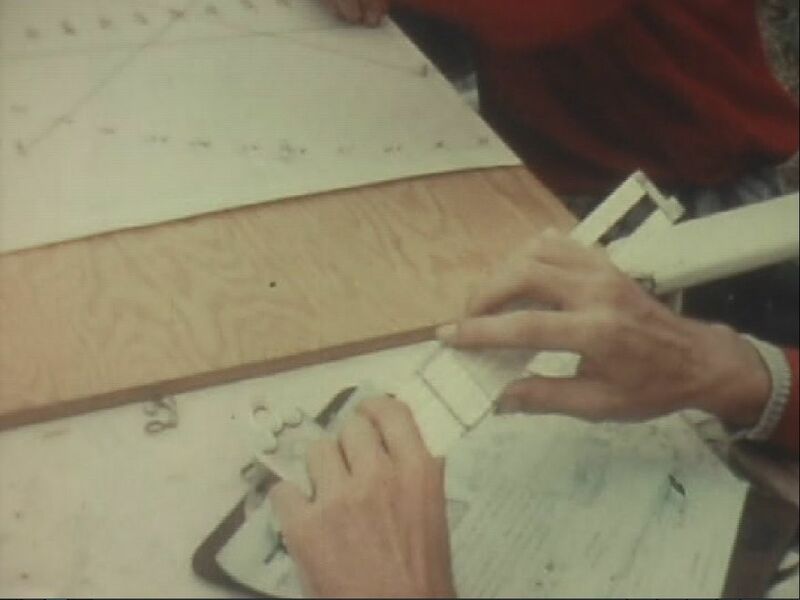 Dr. Richard E. Chandler, NCSU Professor (Emeritus) of Mathematics, born in Ft. Pierce, FL in 1937 got his doctorate from Florida State University in 1963 and came to North Carolina State University in 1965. He was the department's first topologist. 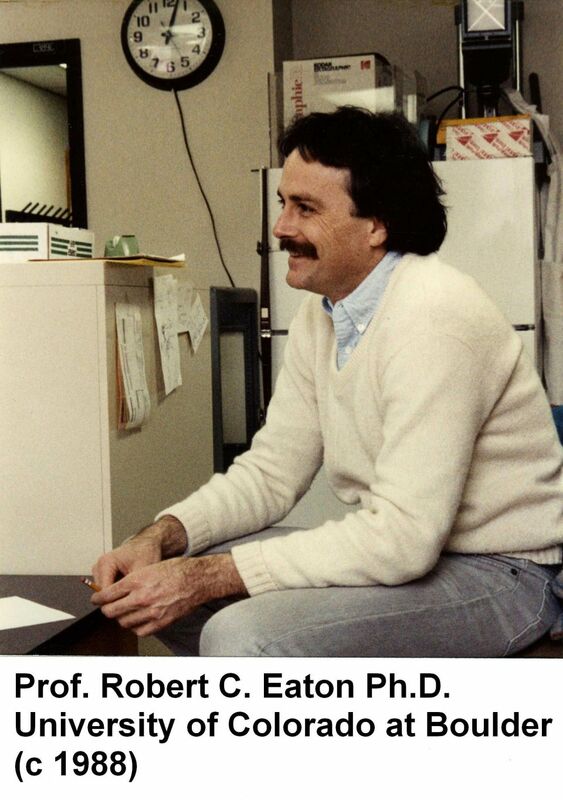 He wrote several books and many research papers in Topology and Computer Graphics and supervised 4 Ph.D. students. 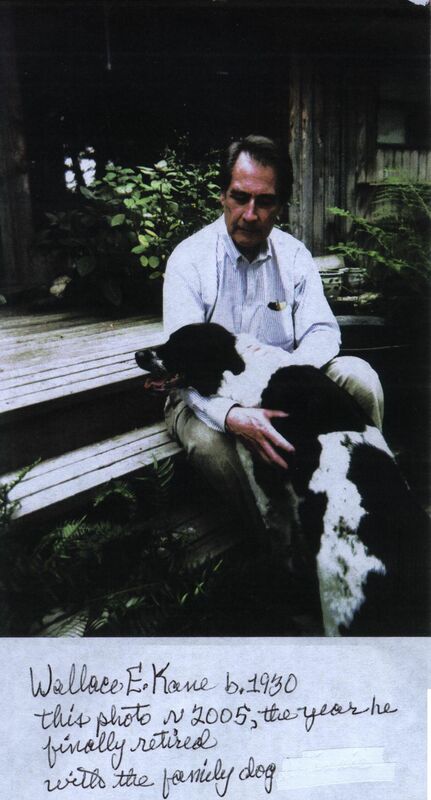 Chandler served as Graduate Administrator from 1973 until 1985. He received an Outstanding Teacher Award in 1993. Chandler took over the "Mathematics Magic Show" from Robert Silber and gave a large number of performances throughout the State. He retired in 2002. Since his retirement Chandler has collaborated on two booklets on North Carolina Fossils. 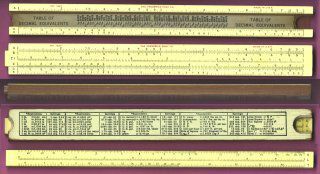 ISRM 18.09.17.20 Post Binary 8inch Circular Slide Rule (Model 1464) 8in 21.1cm dia. 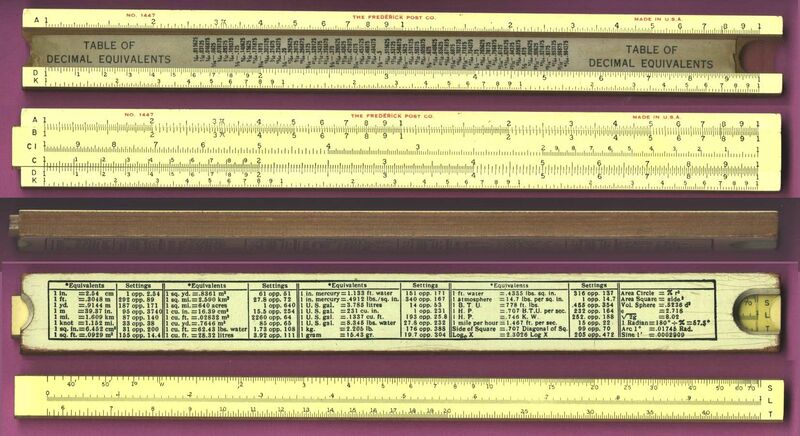 Made in USA - Gilson Slide Rule Co. 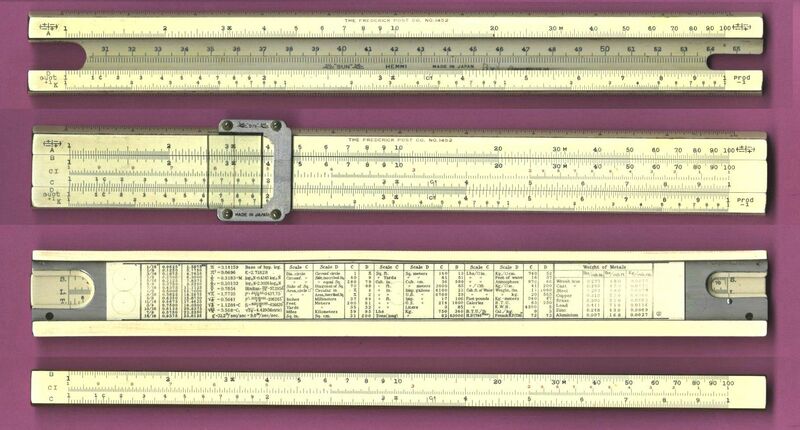 Note: This slide rule came with 4 cursors. The transparent insert is for freq.resp. calculations. 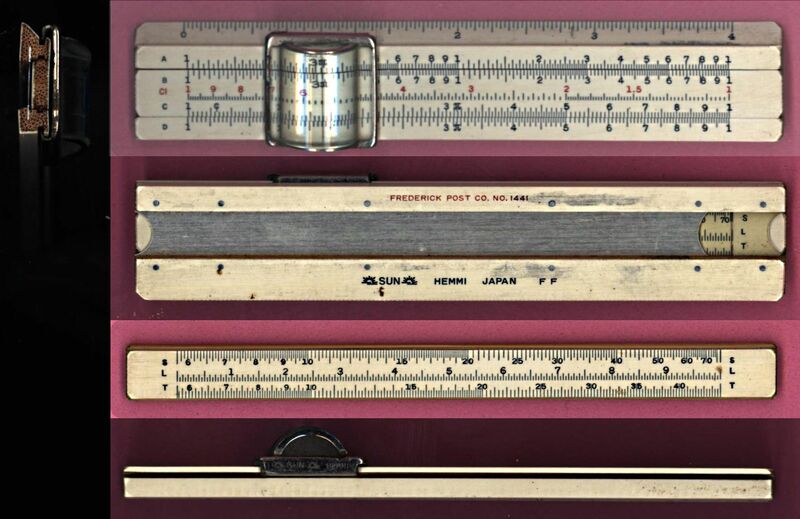 Front Scale:: 10 in./ t, ? 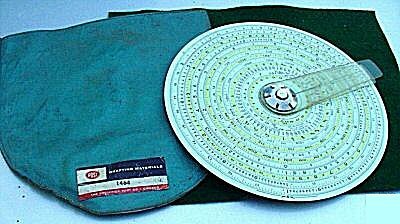 [ CI, f, P, C ] D, A, db || 27 cm. 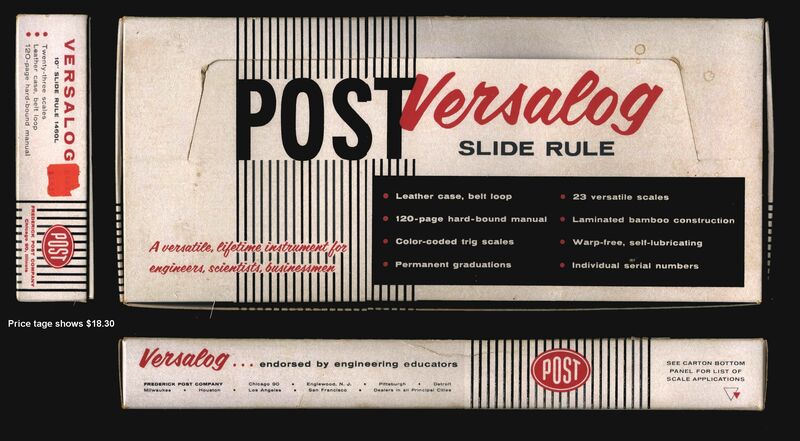 Note: The Versalog II has an A scale but the original Versalog does not.